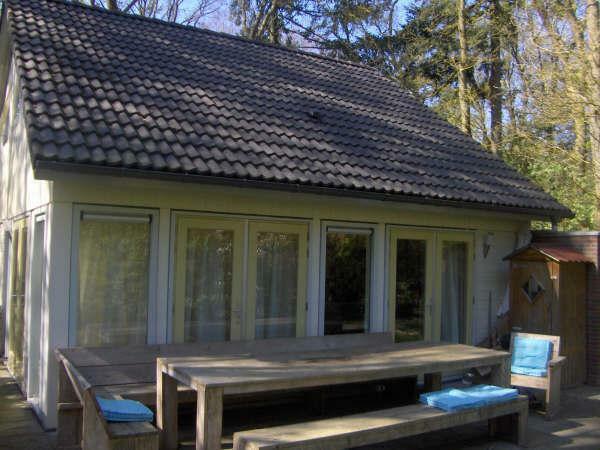 “The Notenkraker” (Dutch for “Spotted Nutcracker”, a bird of the forest), is a luxurious holiday villa is located in the scenic Frisian village of Oudemirdum, hidden within one of the most scenic forests of Gaasterland. The self-catering villa comfortably sleeps 6 people, includes a fully fitted sauna, bathroom with separate shower and large Japanese-style wooden tub, open-plan kitchen with dishwasher and microwave oven and a brightly-lit living area opening out onto a sunny terrace with garden furniture and barbeque. 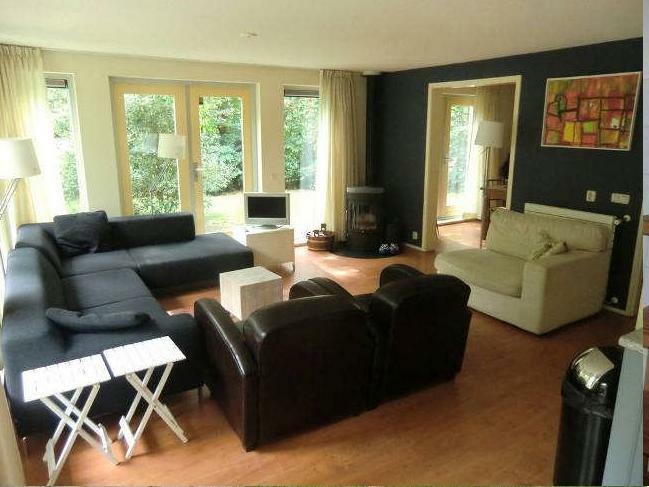 The 40m2 living room is furnished with a large corner couch, a television, an authentic wood-burning fireplace, and a separate dining room. Double glass French doors and two walls of floor-to-ceiling windows allow maximum natural light into the open plan living/kitchen area and dining room, as well as views of the forest and garden, scenic in every season. 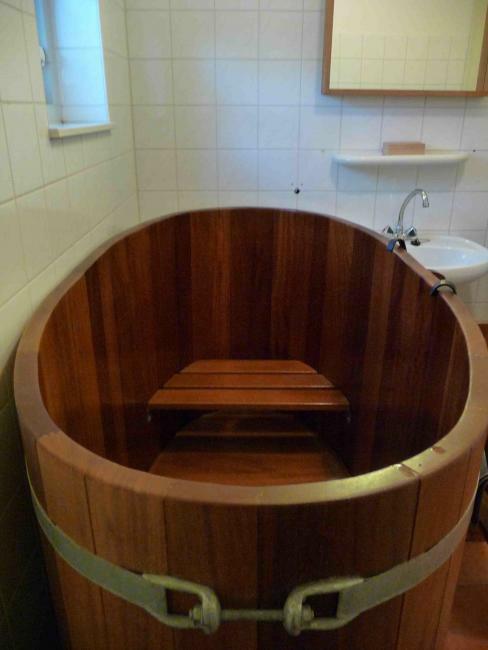 The separate toilet and bathroom (with shower and Japanese-style wooden tub) are also situated on the ground floor. 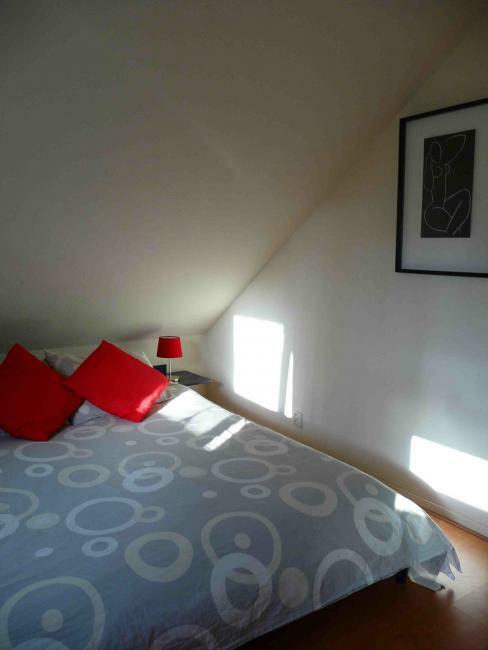 The upstairs area provides 3 cozy bedrooms with radiator heating and double-glazed windows. 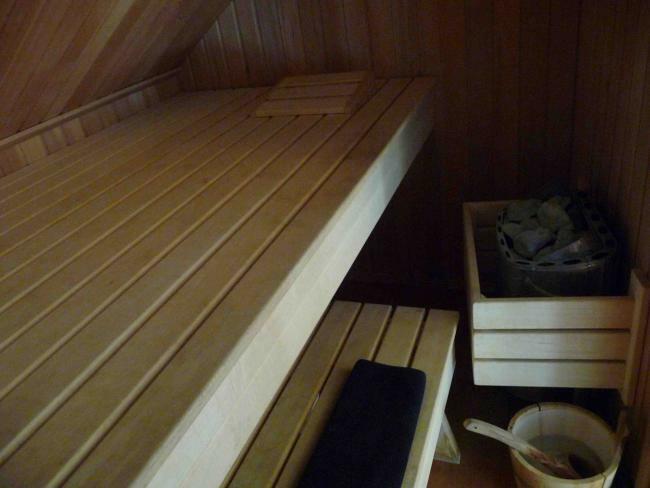 The master bedroom includes a queen-sized bed and fully fitted sauna. The second bedroom is fitted with a double bed (that can be separated into 2 single beds) and the third bedroom provides 2 single beds (that can be moved together) and a crib for small children. 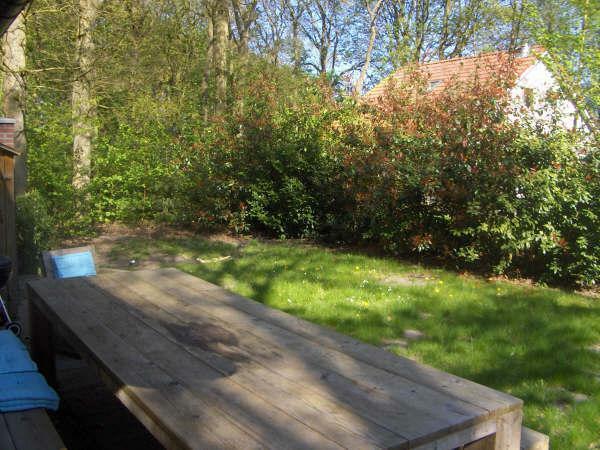 The Notenkraker is surrounded by a beautiful lawn and forest garden of approximately 569 m2. The dense, mature trees of the forest offer a high degree of privacy while the spacious terrace with long wooden table (seating 12-16) and benches are sun-drenched throughout the majority of the daylight hours. 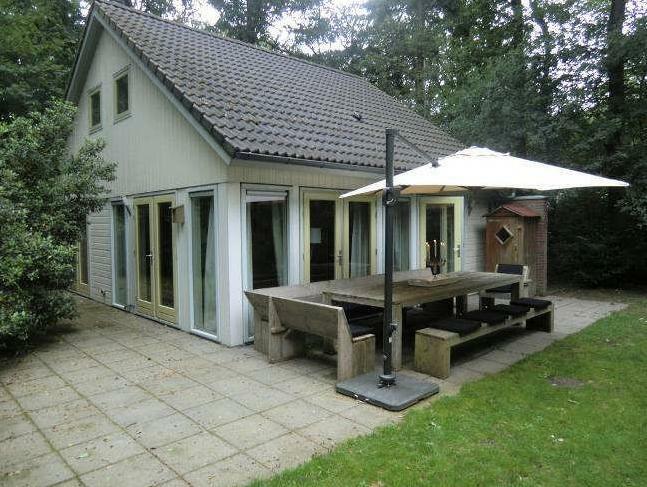 The outdoor patio area also includes a barbeque and has direct kitchen access through double glass doors. 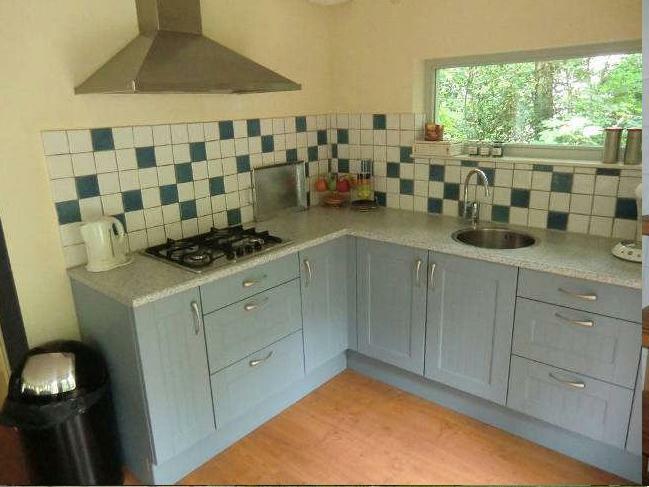 This modern holiday bungalow was built in 2004, and fitted with the wellness facilities in 2008. 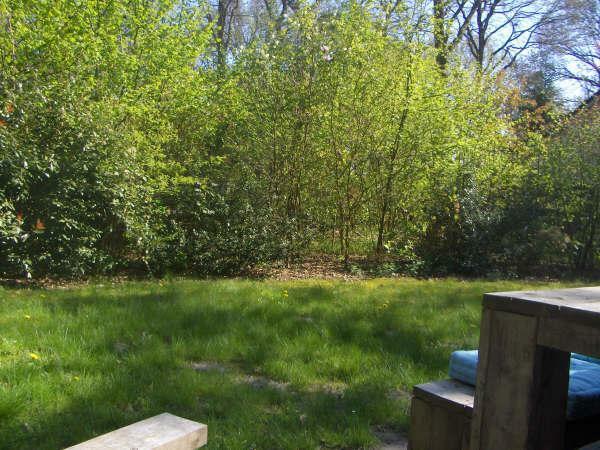 There is a driveway with ample parking space for two cars, and a caretaker resides nearby in the park for easy check-in and any other assistance needed. The Notenkraker is child-friendly, with facilities such as a crib and high chair available. The autumn and winter periods are a special time of year in the Gaasterland area for a short weekend away, or a relaxing week-long escape. The forests of the region are stunning and scenic with the autumn colors as well as snow in the colder months. 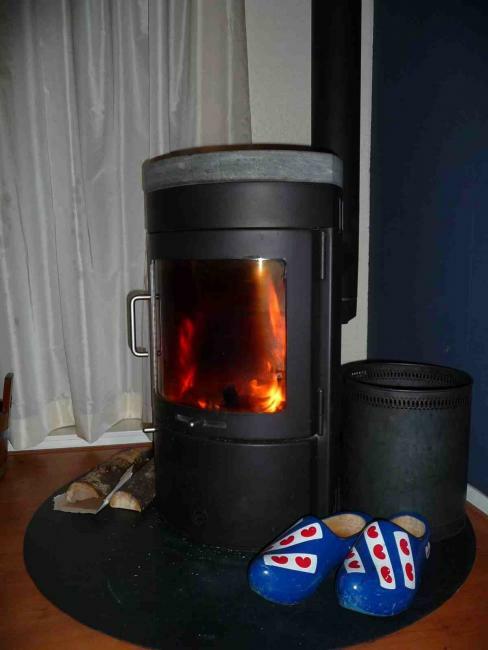 During these periods, after experiencing the extensive walking, bicycling and horse-riding trails of the forests and feeling the fresh breeze from the Ijselmeer lake, the Notenkraker’s fire place, sauna and Japanese wooden tub provide a welcome way to warm up, upon your return.